The non-governmental organisation (NGO) PlanFutur, through its EcoSan Benin project, is developing mobile latrines operating without water. The excreta and urine collected there are used to make fertilisers for agriculture in Benin. According to UNICEF Benin, only 17% of households normally dispose of their waste. The same source indicates that 67% do not have adequate facilities for the management of their excreta. While the situation is improving steadily in cities, it remains complicated in rural areas. This state of affairs is not without consequences for people who defecate in the bush, for example. They are exposed to diseases such as cholera and malaria. To prevent these health disasters, the non-governmental organisation PlanFutur launched its EcoSan Benin project in 2015. The first objective here is to improve access to sanitation by building latrines in rural Benin. For the realisation of this project, the NGO PlanFutur receives the support of the Ben-In-Connection Foundation. It has therefore undertaken to build latrines in villages, particularly in rural areas. This is the case, for example, at the public school in Zoungué, near the town of Dangbo in south-eastern Benin. On site, several latrines were made available to students who used to do their natural needs in the bushes. But PlanFutur’s action does not stop there. It uses the excrement thus collected by means of mobile toilets operating without water to manufacture fertilisers for agriculture. To initiate the recycling of latrine waste, the NGO chose two colleges and a market in the city of Dangbo. On site, she advises people who use these toilets to use a cup of sawdust after each visit, as is also the case for the dry toilets used in Europe. The objective is to avoid odours and especially to facilitate the drying of excreta. The collected waste is sent to a composting site where the faeces are dried again for a period of 6 months. “As for urine, we let it rest in jerrycans, it becomes after three to four weeks a very good nitrogen fertiliser, especially for market gardening. A fertiliser rich in natural and non-chemical urea,” explains Vital Ahissou, an NGO official in a report in the newspaper Le Monde. The work of this NGO was also awarded the International Prize for Urban Innovation “Le Monde” (The World) – Smart cities as the winners were unveiled on July 10, 2018. 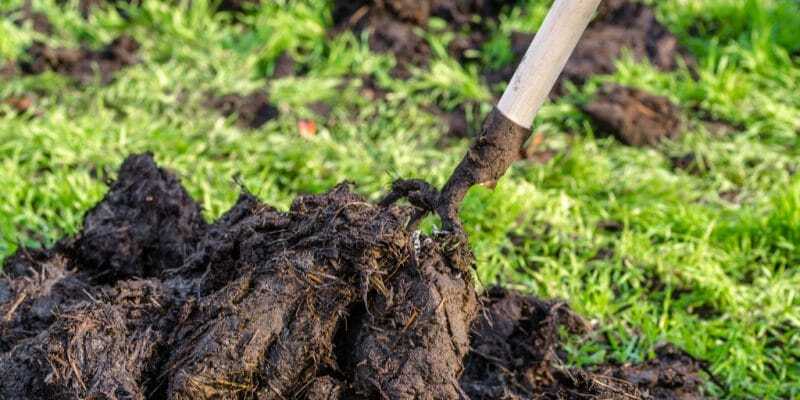 The reuse of excreta to fertilise the soil is a serious and particularly interesting approach that combines an environmental approach, a concern for public health and economic development. Elsewhere in Africa, initiatives are hatching, as the most recent one initiated by Dr Dyllon Randall in South Africa, which we recently echoed.